You can call us 24 hours a day at (888) 915-8868 to respond with emergency disaster restoration services in Charleston and North Charleston, SC. Water damage can happen to a home or building at virtually any time and when it does, you must react quickly to help prevent significant damage. 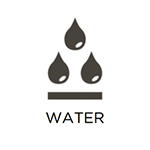 Water quickly spreads through porous building materials which increases the risk for structural damage as well as mold or mildew growth. RestorationMaster provides water damage restoration services to remove excess water from homes and businesses in Charleston and North Charleston, SC. 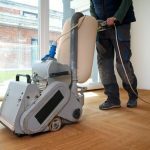 We use advanced drying equipment and our technicians can effectively dry and restore all types of flooring that has been affected. When flooding occurs inside a home or building, it is important to act fast because flooding spreads quickly and causes significant structural damage. Your home is always at risk for flooding because it can be caused by overflows, sewage backups, and major leaks as well as rain and natural floods. 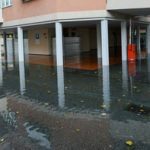 Standing water quickly gets absorbed into flooring, wood, and other porous building materials and it can also result in significant mold growth. 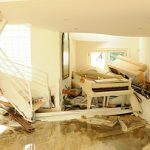 RestorationMaster provides flood damage restoration services to cleanup and restore homes and businesses affected by flooding in Charleston and North Charleston, SC. We can remove standing flood water as well as dry and restore the affected area to bring it back to its original condition. 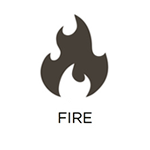 Fires are very devastating disasters that can result in widespread damage, especially if the restoration process does not begin as soon as the fire is extinguished. 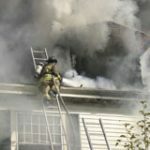 When synthetic materials are burned, the complex chemical reactions that result create corrosive byproducts that can continue to spread damage after the fire is out. RestorationMaster provides fire damage restoration services in Charleston and North Charleston, SC to restore homes and businesses that have been affected by a fire and prevent further damage from soot and corrosive byproducts. We use the best cleaning equipment and products available to restore your home back to its previous condition. Mold can be a huge problem in a home or building and sometimes it can even grow undetected and cause a significant amount of hidden damage. 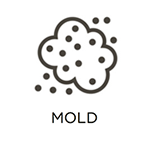 Mold forms when its spores find an environment with a moisture source and a food source and it can spread to cause structural damage as well as health issues such as allergies and infection from exposure. RestorationMaster provides mold remediation services for homes and businesses in Charleston and North Charleston, SC. We use the accurate InstaScope testing system to locate all hidden mold to ensure that your home is mold free. 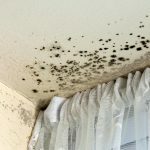 Mold is a discouraging sight in a home or building because it can not only cause serious structural damage, but also put those within at risk for negative health effects. 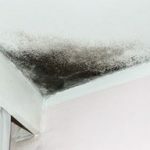 Excess moisture or water damage is usually what triggers mold growth and it attaches itself to wood, drywall, and other surfaces that provide it with a food source. If given enough time, mold can permanently damage the affected surfaces and spread to new areas. RestorationMaster provides mold removal services to completely remove all mold growth from homes and businesses in Charleston and North Charleston, SC. 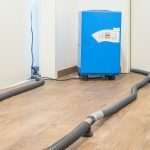 We will immediately contain the mold growth to stop its spread and we use the highly accurate InstaScope testing system to find and remove all mold growth. The HVAC system is responsible for the heating and cooling in homes and commercial buildings and when it becomes dirty, the system loses its efficiency and becomes vulnerable to breakdowns. Dust and other airborne debris build up in the air ducts over time and this buildup can lower the indoor air quality as well as affect the efficiency of the system. RestorationMaster provides commercial and residential air duct cleaning services in Charleston and North Charleston, SC. We will completely clean out the air ducts and component parts for improved efficiency and indoor air quality. Many disasters cause intense damage that can affect the structural integrity of a home or building and in these cases, it takes reconstruction services to get the building back to its previous condition. Intense structural damage from a disaster can leave a home or building unstable and if it is not stabilized quickly, the damage could get worse. RestorationMaster provides reconstruction services to rebuild homes and buildings in Charleston and North Charleston, SC that have sustained serious damage in a disaster. 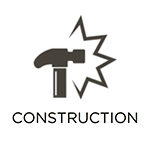 Our experienced staff can handle the complete construction of your home or building through every step of the process. The look of your home or office affects the impression that guests may get of you or your business and if the carpeting is dirty or worn out, it can negatively impact the appearance of the space. The carpet in a home or building regularly gathers dirt and debris from the daily foot traffic and this buildup of debris can cause the carpet to become discolored or worn out. 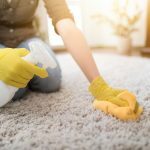 RestorationMaster provides professional carpet cleaning services for the homes and businesses of Charleston and North Charleston, SC. 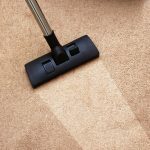 We use advanced cleaning equipment that effectively removes deeply embedded debris from all types of carpeting and we can also treat stains. When choosing a flooring type for your home, nothing beats the natural beauty of hardwood floors. Hardwood floors are very durable and more resistant to wear and tear than other flooring types, but they still gather dirt in the crevices and are vulnerable to surface damage. It is important to protect the investment you have made into your hardwood floors. RestorationMaster provides hardwood floor cleaning services for homes and businesses in Charleston and North Charleston, SC. Our innovative cleaning methods and equipment will thoroughly clean your hardwood floors and restore its natural shine. 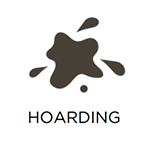 Hoarding is not simply a bad habit, it is a mental disorder that is brought on by underlying anxiety issues. Those who are affected by hoarding develop an inability to throw anything away due to their anxiety and the buildup of hoarded items can have dangerous consequences. It is important for the health and safety of the hoarder and their families to cleanup and restore the home. RestorationMaster provides full hoarding cleaning services to clean and sanitize the homes of hoarders in Charleston and North Charleston, SC. Our technicians are sensitive to the feelings of the affected individual and we will work to involve them in the planning and cleaning process. Tile and grout surfaces are a major feature of most kitchens and bathrooms because they have the durability to withstand use and moisture in these demanding environments. They also come in an endless array of colors and styles to fit right in with any kitchen or bathroom décor. Despite their durability, the finish of tile and grout surfaces fades with time which not only causes the color to fade, but also leaves the tile surfaces and grout lines open to dirt and mildew. RestorationMaster provides professional tile and grout cleaning services in Charleston and North Charleston, SC to effectively clean your tile and grout surfaces. We use advanced high-pressure cleaning equipment and products that can safely clean all types of tile surfaces. The scene of a violent crime or accident can be as dangerous as it is disturbing, making it important to keep your distance and take immediate action. 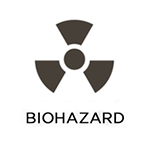 Biohazard materials found at the scene including blood, tissues, and bodily fluids possibly contain harmful pathogens and should only be cleaned up by licensed professionals. 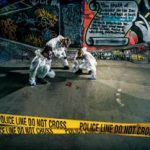 After notifying law enforcement, you must call a professional that specializes in trauma scene cleanup. RestorationMaster provides biohazard and trauma scene cleaning in Charleston and North Charleston, SC. Our technicians treat our clients with compassion and respect in these situations and use advanced equipment to fully restore the scene.